Russia's Ministry of Natural Resources says the investment, totaling about €143 billion, is necessary if the nation is to hit its ambitious goals for growth along the route. A massive development of new industry and adjacent infrastructure is needed if national targets for the Northern Sea Route are to be met, the country’s Ministry of Natural Resources says in a new report. A total of 10.5 trillion rubles (€143 billion) of private investments must be made in the region over the next ten years, the report says, and outlines 118 different priority projects. The projects are all in the field of mineral development and infrastructure. If they are implemented, shipping on the Northern Sea Route could amount to 77 million tons by year 2024, the ministry informs. The plan includes the development of the massive coal resources of the Taymyr Peninsula, as well the Payakha oil field in the Yenisey river delta. It also includes the building of a northbound oil pipeline from the Vankor oil fields, the ministry informs. It does not, however, include goods produced outside the country’s Arctic region. According to the Ministry of Natural Resources, Russia will fail to meet national targets for Arctic shipping unless the proposed projects are carried out. In his so-called May Decrees from 2018, President Vladimir Putin demands that annual shipments on the Northern Sea Route amount to 80 million tons by 2024. Shipments will amount to only about 60 million tons unless the proposed measures are taken, the report concludes. That will not be seen as satisfactory by the Kremlin, the government officials fear. The new report from the Ministry of Natural Resources was commissioned by government in December last year. In a meeting with involved ministries and state agencies, Prime Minister Dmitry Medvedev requested the elaboration of a series of reports on Arctic development. A total of 17 tasks were commissioned on key issues such as the development of new ports and terminals, airports and other infrastructure, new legislation, building of icebreakers, as well as the elaboration of estimates for future shipping and cargo volumes. 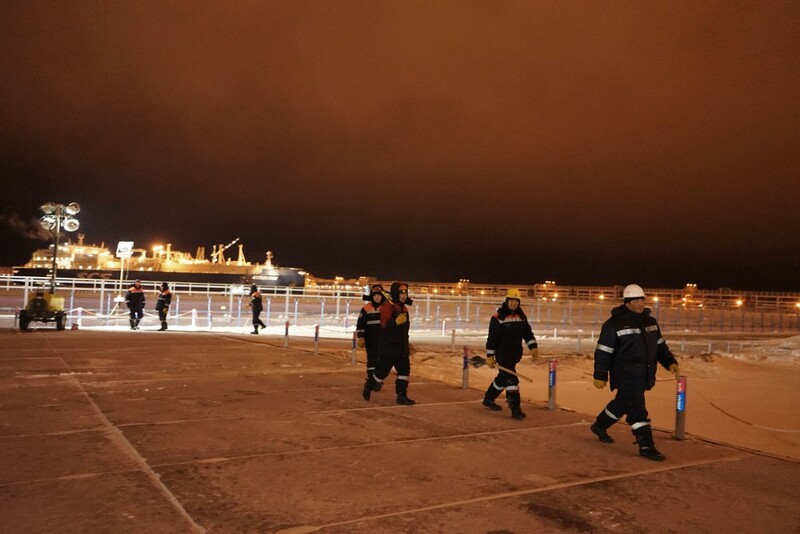 It is all to prepare the ground for the government’s successful fulfilment of the Kremlin’s 5-year plan for the Arctic. “It is not enough to build only port terminals, we have to build also pipelines, railways, develop aviation, energy capacities,” Medvedev underlined in the meeting. “This is where we decide our two most important tasks — the providing of the national security of our country and, of course, its economic interests,” he underlined.